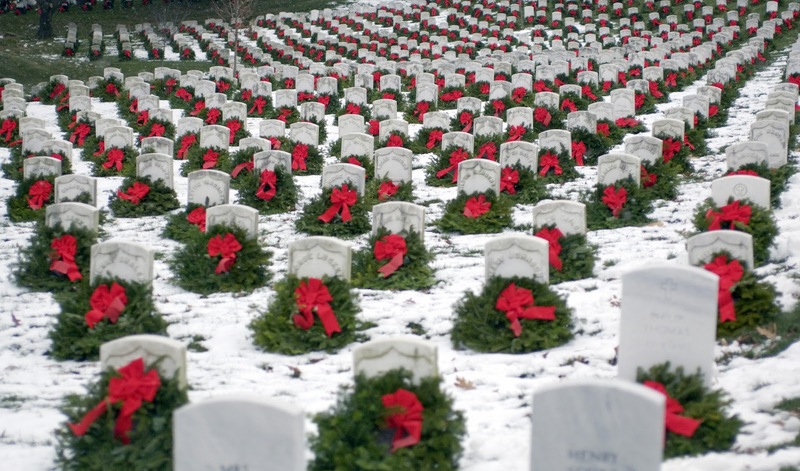 Tomorrow marks the twentieth anniversary that holiday wreaths will be placed on veteran’s graves in Arlington National Cemetery. What began as a labor of love for a Virginia man has grown into a national organization known as Wreaths Across America. 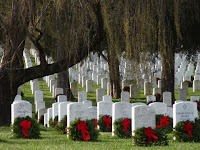 Wreaths are now being laid at veteran’s graves and cemeteries throughout the country, in all 50 states, on one special Saturday in December. 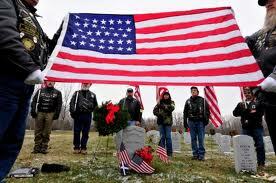 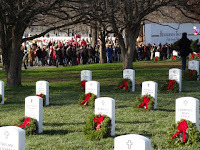 Wreaths Across America (WAA) is a non-profit organization that was founded to continue and expand the annual wreath laying ceremony at Arlington National Cemetery that began in 1992. 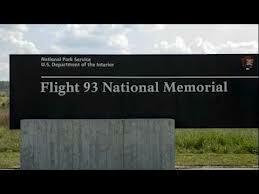 Their motto: Remember, Honor, Teach, is still as important and vital as it was when the organization began. 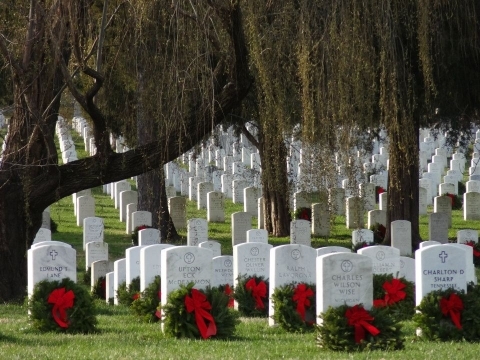 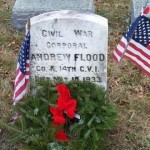 Over 100,000 balsam wreaths will be displayed on the headstones at Arlington this year. 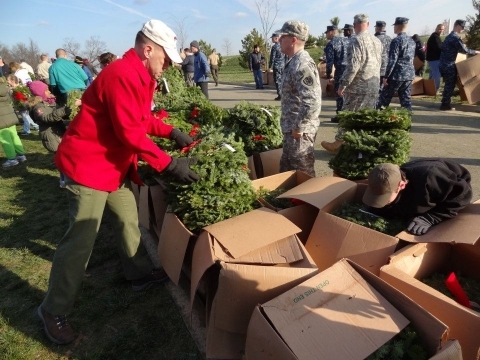 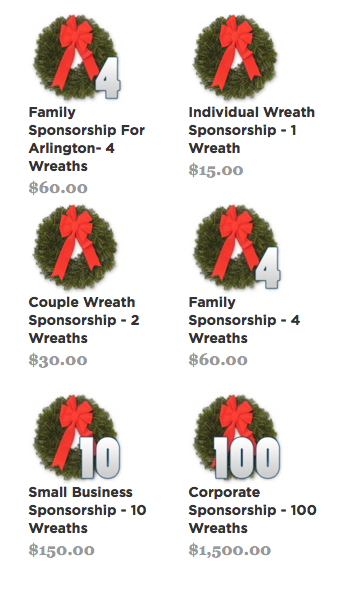 Over 400,000 wreaths will be shipped to locations throughout the US, and abroad. 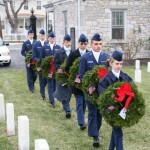 The Veteran’s Parade is a week-long trip from Harrington, Maine to Arlington National Cemetery in Virginia. 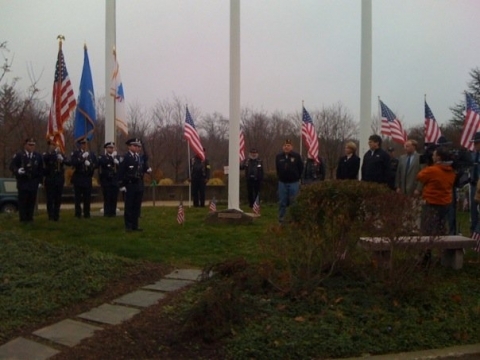 WAA stops along the way for tributes and ceremonies to remember our fallen veterans, honor those who serve, and teach others about the sacrifices made by veterans and their families. The Veteran’s Parade is escorted along the East Coast route by the Patriot Guard Riders. 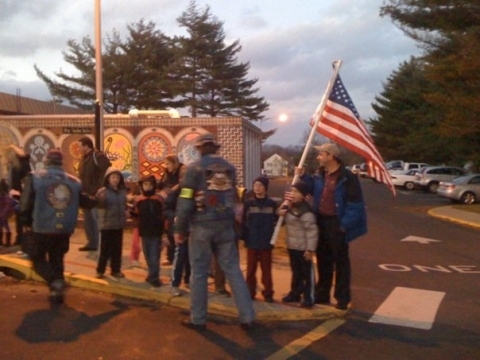 The group volunteered their services in 2006 and has continued to offer their support for the weeklong driving event. 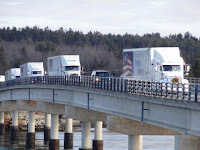 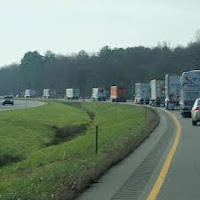 Over 50 national trucking companies have volunteered the use of their trucks this year, and volunteer truckers from across America are giving of their time in picking up and delivering the wreaths to designated towns across the country, just in time for this Saturday's official wreath laying ceremonies. 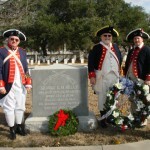 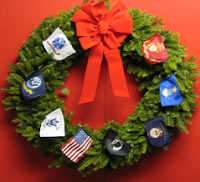 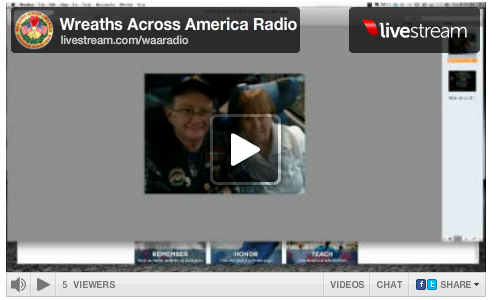 WAA uses live wreaths as a living tribute to recognize and honor those who served. 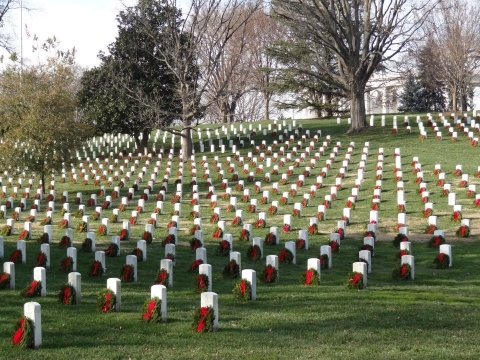 They would like this symbolic gesture to be seen as a tradition, as a living memorial to honor veterans and their families. 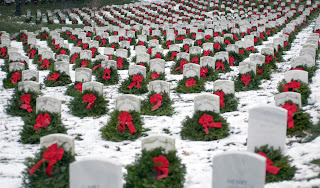 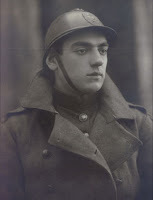 Wreath laying ceremonies will take place around the country tomorrow, in cemeteries large and small. A wreath display will also be set up to honor the victims of 9-11 in New York City, the Pentagon, and Shanksville, Pennsylvania. 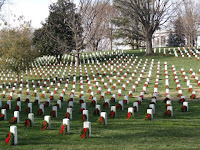 Reminds me of remeberance day in this country where I have noticed all the war graves have a cross with a poppy placedin front.